I finally got a 4K TV and a bunch of 4K components to go with it so I decided to build a 4K gaming system also. Case: I had a hard time settling on a chassis with space constraints in both size and depth to fit my media cabinet. In a perfect world I would have preferred a deeper version of the Lian-Li Q19 that supported full length GPU's. I ended up going back and forth between the Silverstone RVS02/ML08 and the Node 202 until I saw a RVZ02 at my nearby Microcenter and I was not impressed but how cheap it looked, they really need an updated FTZ model. GPU: The choice of a blower style GPU was another difficult one, I had considered the EVGA 1080 TI's since they stuck to a two slot design in their custom heatsink models but I was still concerned with where that hot air would end up going. Storage: Lastly was storage, for movies and what not I have a storage server holding everything so that just left games for local storage. The new Xbox I got came with a 2TB drive and seeing how quickly those 50GB installs ate up space I didn't like my options. If this case had supported a taller/enterprise 2.5" drive I would have gotten one of those but with only laptop height drives, 2TB was also the best I could do for this case, and SSDs at 2TB+ sizes aren't a financially reasonable option yet. My decision was further backed up after looking over several benchmarks showing that the only penalty for the spinner would be level load times. Also, even though the drive I selected is already a hybrid SSHD I was intrigued to see how it would perform with an additional caching layer, we'll see how that works out. Status: Still waiting on the Optane drive to ship but I finished the build for now. The thermals are what I expected, running Prime95 the CPU will hit the throttle limit but normal gaming temperature are "reasonable". The GPU hits the default thermal limit with Furmark and normal gaming but the intake fans do keep the TDP at nearly 100% vs 80% without them running. Even the setup looks so clean, good freaking job man! 202 easily beats the RVZ in looks. So clean. This is basically a perfect build. I should've commented about that choice, was all about cable lengths for me, the cables the PSU comes with would've have made for a messy install. 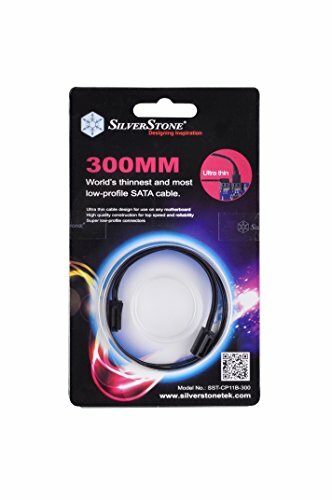 Is it alright if you posted the lengths of the cables you got from CableMod? 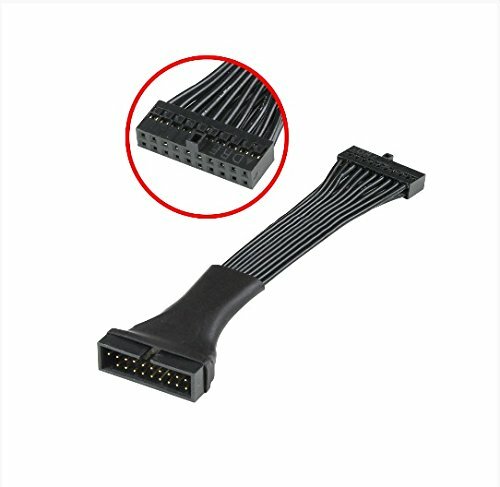 I know this is over a year later, but was there a reason you didnt go with a single 8+6 Pin PCI-E cable over seperate 8 Pin and 6 Pin PCI-E cables? Hey, amazing build! A 1080 Ti in it for $2000? Yes please (I'm new to PC building don't hurt me)! Was thinking of cloning this build because I as well just got a 4K TV with no way to actually use it for what it was made for. However, instead of the FE, would an aftermarket card be okay? Is the airflow of the build good enough for it? I would prefer an aftermarket 1080 Ti for a better warranty and I'm a sucker for all things EVGA, so yeah. Thanks a million and hope you enjoy your PC! 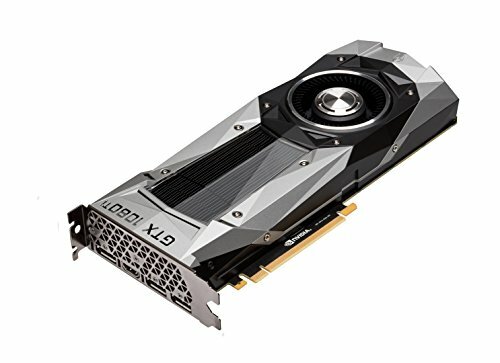 I'd feel better about an third party card if the side vents by the GPU were larger like they are on the CPU side, see http://www.fractal-design.com/media/10eb1d34-c32c-4aa8-ae6d-9daac728d0a3 . It would be worth trying out but you may want to look at 15mm fans instead of the Noctuas I used, I would get the card first and see what the clearance looks like. Okay, cool! Thanks! I'll look into the 15mm fans. One more thing. I tried putting some of these parts on a list on this site, and it says that the Scythe Big Shuriken 2 isn't compatible with the Fractal Design Node 202. Is that just PCPP being PCPP, or did you do something to make it work? Also, would you mind taking the time to explain what all the other category stuff is like the USB 3.0 header extender would be used for? Once again, thanks! To fit the Scythe you have to remove the fan filter and you end up with about 3-4mm of clearance between the top steel panel and the fan. The case USB header connector is rather bulky and the cables are fairly thick. This motherboard has the USB header coming straight up, so even if I could have crammed and bent it in there, it would have been a lot of stress on the motherboard connector. I've used the extension cable before in my last build, it's much easier to route around tight spaces and get to spot where you can hook up the case connector. You can see it in the PIC of the two Notcua fans. I used the PWM splitter just to simplify the fan setup, they'd both be running the same speed anyways, and to keep cables to the motherboard at a minimum. This is soooooo clean! and it looks sooooo great! wow! amazing build! 1+! Awesome build! I love HTPCs. I have one as well though it's not as capable as yours. +1! Adding to my favorites list just for how clean this all is. Nice build! What are you using for feet though? Are they aluminum pieces? They look much nicer than the small rubber pieces that come with the node. Lian Li SD-01B, I drilled out the screw mounts and super glued some magnets since the bottom of the Node 202 has a steel cover, same as the top. One of the cleanest and smooth looking builds I've seen. Very nice job! I couldn't do much with where I was putting it but I did think about water cooling. If I were going to do it, I would go with a custom setup. A combo waterblock/pump inside with quick disconnects to the outside and add an external fan connector at the back side of the case. This would make the compactness of the Node 202 kind of pointless though. If you still wanted something smallish you could look at the Lian-Li PC-O5SX, it can take a 2x120mm rad setup, pull the front side drive cage and it will fit a full length GPU. An AIO should put a good dent in temps, even a tower cooler would be better than what this case can fit. Like I said at the end Prime95 hits the 100C throttle limit so it's more that the heatsink can handle, with an AIO kit there should be no issues keeping it under 80C at stock settings. However you set it up be sure that there is still airflow through the motherboard section of the case since the CPU fan is all it has to move air on that side. Hey! amazing build and exactly what I'm trying atm... One question, do you think something like the MSI's 1080 ti Sea Hawk or Corsair's Hydro GFX GTX 1080 Ti would fit in after removing the GPU support? Could the radiator be placed where you put the 2 noctuas? thanks!!!! No, with a dual slot card there is about 28-30mm of clearance between the card and the case. The only water cooling setup I've seen in this case was with someone using a shorter AMD Fury card and fitting a fan/rad behind it. Again my thanks, this is exactly what I needed to know. much appreciated. I'm making a very similar build and after quite a bit of research you can usually cram a 120mm radiator in and it's slightly better then the standard low profile coolers. Very nice build. I'm thinking to buil something like this. I guess with ryzen 1600 and 1070 temperatures will be a little bit lower. I don't actually know if there are any AM4 ITX boards out there, but I up voted you just for having the one exception, being a Biostar board, grayed out; hilarious. Concerning the thermals, have you been able to overclock it at all? No, at stock speed Prime95, max heat, will push temp to 100C. Have you tried underclocking it? It may defeat the purpose of buying that specific CPU but it should keep it from dying, right? 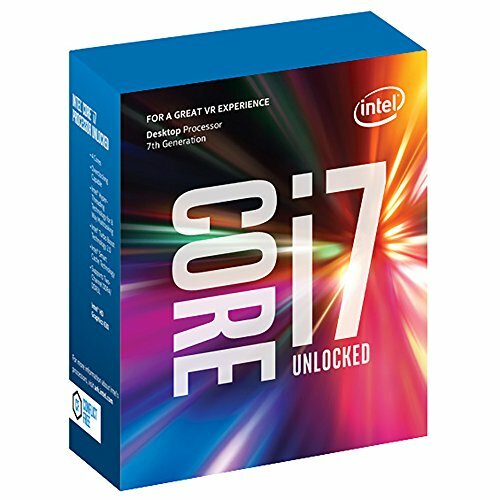 Speaking of CPUs, why did you go with an i7 in the first place? The most you would need for gaming would be an i5-7600k. Do you plan to do content creation with this PC? What is the APC component on the lower left shelf of your HT system? Probably a UPS of some type. It's the H15, which they haven't updated since 2008 and you can tell. At least they only have the black version now. This is amazing! Super clean rig and media setup! Right below the center channel. Can't wait for an Am4 mini itx board so i can build an Amd system in this thing! Here they are, the PCI-E ended up a little long but I was able to hide it. Next time I should wait til I have the GPU. How short would you have made the PCI-E one in hind sight? You should be able to get away with 400 mm but 450 mm may be safer. so then 400 would be pretty tight, but 450mm would be kind of loose but definitely fit? Is only 2.6mm tall so would this fit in?? Yes on the 450mm. That filter would fit but I'm not sure if the air flow restriction from the fine mesh would be a problem. Love the name. That's what I call mine. I truly think it works just as well! Very clean! I may consider this case for a future build. Thanks for sharing. Is that an Xbox One I see :O How dare you on this website. I also use an Xbox One controller for the PC. Just curious but why include Optane if you're using an M.2 drive? Optane caching only works off of the C: drive, and gives a performance decrease when compared against base SSD speeds. You can link/pair the Optane drive to any disk, I'll use it with the Seagate if it ever ships. So are you using the OCZ as a boot drive in the meantime? Yeah, I use the OCZ for Windows boot, games installed to Seagate. It was a hard choice but I was looking at ROI and in this case the benefit of even going for an SSD would have only been faster game load times. The 12mm drive height restriction limited options. +1 for the HTPC 4K Gaming design. What are the temps like in that case? Not great, the high temps posted are what I see in normal gaming. Running stress testing though, with Furmark the GPU hits the default max 84C and throttles and Prime95 will push the CPU to 100C and it throttles. Beautiful build - if it hasn't already crossed your mind, you should consider using a HTPC as an NVR as well - pick up a Ubiquiti camera or two and install the free Ubiquiti NVR software (or any camera and Blue Iris) for your home's exterior and have the HTPC email you when motion is detected and instantly upload it to the cloud as well (in case they steal your HTPC). Again, beautiful build. I use Lenovo micro computers for servers and I run Ubiquiti APs, switches, router and cameras. I have a very similar build as yours, and I have one question: how do you like those fans? I have a 290X in my Node 202, and the GPU goes into core melt down under load (~95C). Recently bought some Scythe Slipstreams, which helped a lot. Now the GPU sits around 70C under load. But they are incredibly loud, almost unbearable without headphones. My main concern with buying full size fans is that they will sit too close the GPU and restrict airflow. I'd greatly appreciate any input on this. Thanks in advance. It's hard to say, I wasn't sure what to expect once I got it all together but I knew what the Scythe fan sounded like at full speed so I went with the Notcua's. 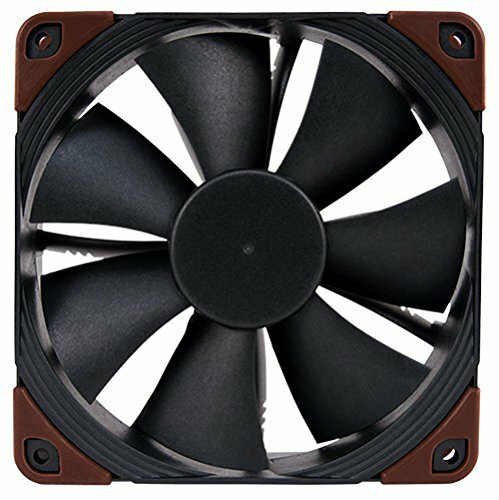 Would you say that these Noctua's are noticeably quieter than the Scythe's? At full speed, the Scythe on the heatsink is louder vs the Noctua's but without the heatsink, I'm not sure how they would compare. Awesome, thanks for the reply. The Scythe's prob don't sound much different with or without the heat sink. Are the fans touching the GPU? or do you have a spacer or something in between? or do they not touch at all? Thank again. They wouldn't normally touch at all but with GPU sag over time I did put a little something there to prop it up, see GPU pic. Everything is fine running stock speed during normal game play. When testing with Furmark I tried running with and without the fans below the GPU running. Without them running the thermal limit would be reached with the card running at 80% TDP, with the fans running at 1600RPM it could maintain nearly 100% TDP at about 80C. So far I've run it at 4k, playing Fallout 4, I haven't had a long session with it yet, just a couple hours at a time. I'm really impressed with how clean this build turned out and how clean it matches the rest of your Home Theater setup. Very nice work! By the time I had reached picture 10 I creamed my pants. Thanks. Awesome rig, great detail with the extra cables noted. I see you are using a different brand Cable for sata. 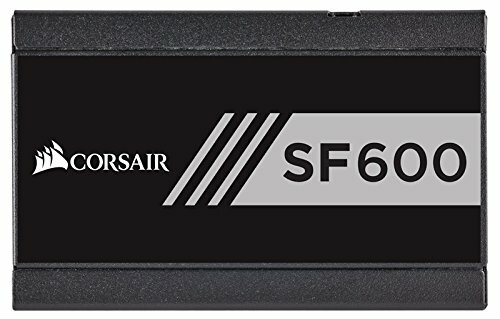 Does it fit into the corsair or is it an extension? Did you need the cable to make it work, or was it aesthetics? 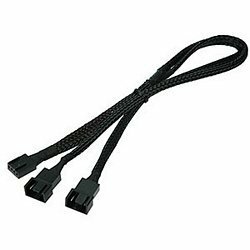 The SATA power is a Cablemod cable also. dang, that case is CLEEEEEAAAAN! Do you have any step by step instructions on how you built this and what needs to change? I don't know what to do with some of the stuff added here like the PWN Y Splitter, Low Profile USB, etc. not sure how you used it in this situation. I am pulling the trigger to purchase this exact build. The Y splitter is for the two fans under the GPU, I use it to run both off a single motherboard header. The front panel USB cable in this case has a thick stiff motherboard connector. I used the low profile extension to make the install easier. You can see the case cable and extension in this picture, https://cdn.pcpartpicker.com/static/forever/images/userbuild/198910.0e637299d96568e0a595ee2c18ffc06a.1600.jpg . When building you'll want to remove the top and bottom case covers. Install the PSU, motherboard and hard drives. Then run the front panel connectors, power supply cable, fan cables and SATA cable. The goal with running these first is to get them routed in such a manner that they are as out of the way as possible. You'll need to use the space between the fans and the center divider to eat up some of the extra cable length from the USB and fan cables. Next run the PSU cables, then install the CPU, memory and heatsink. When installing the GPU you'll likely have a bit of extra length in the power cables, you can feed that slack into the space between the GPU and center divider. If this is your first build I would recommend bench testing before you put it in the case. Amazing rig in such a small space, such a clean layout too! 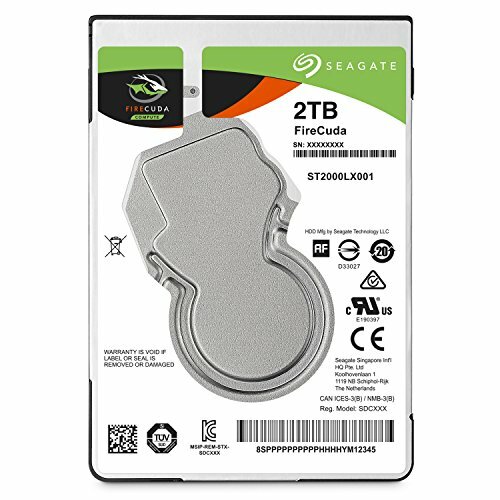 I'm planning on using the very same Node 202 case and the same Seagate 2TB SSHD, but I'm wondering consistently about temps and speed. Is the case still cool enough despite being so small? And how is the speed of the SSHD compared to a standard HDD or SSD? It's cool enough for my purposes, no o/c'ing, but stock performance is fine with these components. If you're looking to put it in your living room I would stress that an open air shelf is a must. It's a little faster than a HDD, the cost/ben on that choice was easy for me, saving 10-15 seconds on a level load isn't worth the cost of a 2TB SSD. The section for the gpu has enough clearance for case fans underneath it? And fit a 1080ti??? odd question but howd the vizio tv work out? any good? how loud is the gpu in that case? I know I'm late to the party, but sweet build! I'm getting about the same CPU temps (a little lower in the 80s) on extended periods of time with a minor overclock on the i5 8600k. Are you De-lidding? Hello System48! Super clean build you have there. I have a non-PC related question for you. What specific entertainment stand do you have (in pictures 9 & 10)? Late arriving question on this nice build. I'm thinking about building with this case but have concerns about CPU and MB component temps. What air mover is evacuating the hot air building up in the MB compartment? 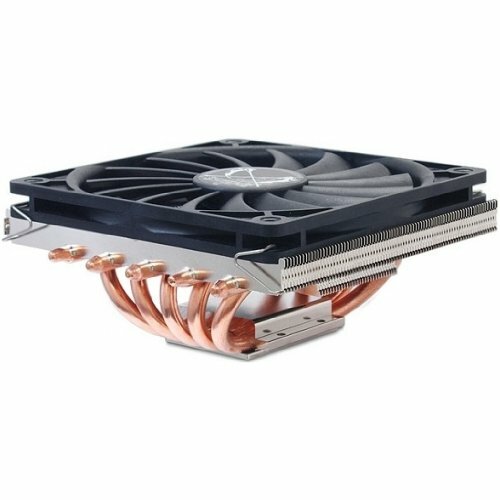 Simply the CPU cooler itself, or is the PSU or another case fan helping to exhaust? How is the improvement of load times after adding the optane stick? This is the best cable management I've seen in a Node 202. Awesome! Wow! Just WOW! I've been dreaming of a build like this for a while. THANK YOU for posting and being so responsive on your replies (i.e custom cable lengths etc.). I have it book marked so I can return to this and use your build as the template for my first HTPC later this year. One question, you say that temperatures are "reasonable" during gaming. What temperatures are you pulling for any of the AAA titles? The response may dictate if I go for a different, lower TDP video card or not. Is there any problem with the temp of the M2 SSD because the cpu cooler blows hot air directly to it? Were that cable required to make this build possible? What pcie cable extender did you use??? So disregard my previous comments.. buuut did you have any problem fitting the CPU cooler in there because according to pcpartpicker the node 202 and the sythe are not compatible. How loud is this thing when gaming? I have a node 202 and want to upgrade my CPU from 6500 to a 7700k. Currently its very very quiet even while gaming. Nice Build! What did you use to attach the GPU to the MOBO? Would you mind adding a link to the feet you have added to your build? 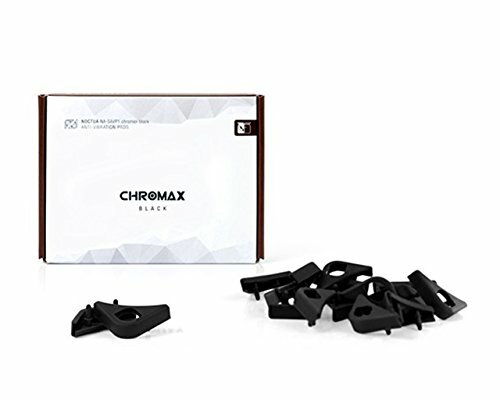 I'm in the process of building in a Node 202 and I'm looking for better looking feet than the included rubber set. Never mind. I found them in another one of your comments. Great build. I personally would have still gone with the EVGA GTX 1080 ti, since the Node 202 looks pretty good with exhausting hot air (Would just be a matter of how big the cooler is, since some 1080ti's need a 3rd slot to compensate for the thicker heatsinks). The first thing I would do though, is replace those two Noctua case fans with the Fractal Case fans that came with it, I think you will find better temps if you do that, I have tried both Noctua's Industrial 2000rpm case fans and Fractal Designs case fans and Fractals case fans were better in regards to temps. If the GPU side had the same large vent opening as the CPU side did I might have gone with the EVGA. This one didn't come with fans, I hadn't tried Noctua yet and was really only looking for something that would have a high static pressure and could deliver more airflow than I needed. I tried a few test and their temp benefit hits a limit with them at 1600RPMs, so they never run at full speed. I have them set to run against a thermal sensor I added late, not pictured, and attached to the backside of the GPU. I didn't like the long stiff cables that came with the PSU, so I only went with a custom kit to get cables at close to the exact lengths I needed them. Have you tried just running the one fan that's feeding the radial fan on the GPU? The second fan closest to the GPU IO is just hammering air into a plastic shroud. Not that it would make a huge difference in sound, but I would be surprised if just the one fan made a difference in temps. I probably could of done just the one but then it would look weird. They usually run at a fairly low speed and by the time they're audible, the CPU fan is making more noise. I would've preferred an SSD for game storage but pirce/GB isn't reasonable yet for 2TB+ drives. If I could've put a 15mm height 2.5" drive in I would've actually gone with the 5TB Seagate so I'm not even happy with the 2TB I ended up with. I use externals for low throughput, low activity purposes. I'm not sure what it would be like running a game from an external drive. I could probably get better performance running from a network share off my server at that point. Now I've got to try that. An external SSD would still have the same price issues as an internal. The external drives are usually low power, low end 5400RPM drives and a HDD would only saturate the network link on sequential writes and reads. The downside to running off the network is latency. Either way, an external drive wouldn't fit on the shelf I have it on. haha. u gotta watch those temps, right?